As a child, Dr. Gustin thought it was normal to be sick often, overweight, ridden with acne, have constant joint pains, and be generally unhealthy. When he realized he was in control of all that through diet and exercise, his life changed forever. Through many years of study and self-experimentation, Dr. Gustin developed a foundational support system for health and wellness. His longstanding pains went away, his mental performance skyrocketed, and his overall body composition finally improved dramatically. In the interest of raising the bar for therapeutic care, Anthony also helps other clinicians, therapists, and trainers scale up and help more people through Health Fit Business and helps patients find clinicians through his platform Movement Providers. Through all those channels, Anthony now focuses on educating as many people as possible about the four pillars of health: nutrition, movement, stress/mental health, and sleep/rest. Only with all of these operating in your favor can your health and quality of life be optimal. Join us for an insightful conversation with a humble truth- seeker, Dr. Anthony Gustin. P.S. I started the WLC Podcast because I wanted to bring out the real-life stories of health and well-being experts from around the world. Their stories, along with their advice, are compelling, inspiring, and actionable. To continue doing that, and to bring you the highest profile, most influential, fun, and exciting guests from around the world, I could really use your help. If you enjoy the podcast, please subscribe. If you already do, thank you and please write a review. Let’s grow this thing so these stories can breathe the light of day and get in front of more people, influencing them like they’ve influenced you. Thanks! Paleo f(x) — the largest gathering of Paleo, ancestral health, keto, functional medicine, strength and conditioning experts in the world. Dr. Gustin shares his method to shift your dietary habits. Todd White/Dry Farm Wines (affiliate link) or check out the WLC Podcast with Todd). Andy lost five poundswhen he went keto, but then the weight loss stopped. Where was all that extra food (especially carbs) going before? Did he even need that food? 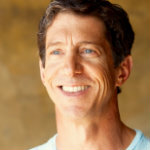 Meet Dr. Wes Hendricks of Rebuild.com. Why exogenous ketones are useful. Success with a keto diet (or any significant lifestyle shift) requires work and planning. The inspiration to move from a chiropractic focus to a nutritional focus. Dr. Gustin, you were a “fat kid” with lots of nagging health issues. How did you get where you are today from there? When you began changing your diet as a kid, without any support from family or friends, how did you manage that? Dr. Gustin talks about the paralysis too many choices can bring on. Dr Gustin, you had bad acne until only a few years ago. What did you finally realize the (easily solvable) issue was? Learn about personal differences in needs for carbohydrates and reactions to insulin. Can everyone benefit in some way from a low-carb or ketogenic diet? When it comes to nutrition, test yourself and learn what works best for you. “It depends.” — why is this Dr. Gustin’s answer to many questions about carbs, protein, fat, supplements, exercise…? The difference between “classic” chiropractic and Dr. Gustin’s approach. The questionable value of chiropractic adjustments. The best long-term approach to chiropractic care. Treating symptoms or fixing the real problem? Why chiropractic adjustments are largely unneeded and ineffective. Dr. Gustin, you don’t take a salary from the businesses you run. How do you make a living? The most useful three pieces of advice Dr. Gustin can share. How to stay on track and continue growing. Dr. Gustin’s n=1 experiment right now. Are there any 100% certainties in nutrition? The importance of organ meats. Favorite and most impactful reading list. BIG THANKS to Dr. Anthony Gustin! If you enjoyed this podcast or have questions, please let him know by visiting and commenting on his Instagram.